Shop our available chains here! We often get asked about slide chains and how to wear them. These beautiful pieces are often overlooked by shoppers and we’re here to explain why you need one in your jewelry box. 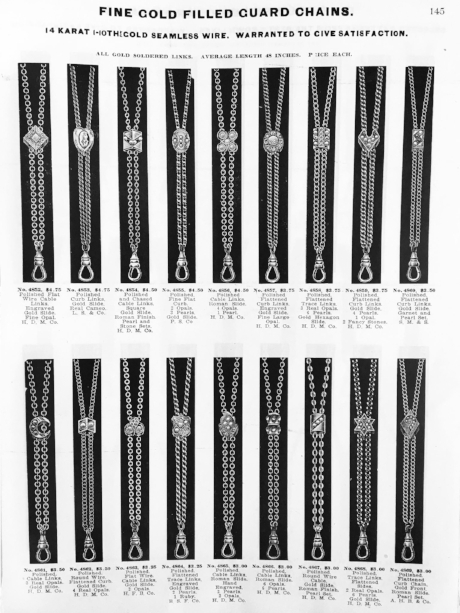 Slide chains, also called muff chains, lorgnette chains, guard chains and locket chains, have not changed much stylistically over time. However, they’ve held many purposes, and their purposes reflect the trends of the era. Chains can be found in fine metals such as solid gold, gold fill, silver but also in Pinchbeck. The use of various metals likely made them widely accessible to women across all classes. Today you can style them as a choker with a long layer, double them up for the look of two necklaces, or as one MJV customer suggested, use them for your ID card (here’s to you nurses, teachers and students)! Regardless of your job today, we think slide chains are some of the more underrated jewelry pieces and can be brought into the modern times. Scroll down to see how we have styled the chains. Let us know your thoughts or ideas you have on how to wear a slide chain to suit your life! Modern day jewelry can feel less meaningful than the intimate designs of the past. Star and moon pieces seem to be all the rage today - but really, celestial jewelry has been “in” for a long time. Have you ever wondered why these pieces are popular other than because they have pretty features? Jewelry has often held deeper meaning beyond the surface image, its own language of sorts. Sentimental jewelry gained popularity in the 1800’s during the reign of Queen Victoria. From the time she took the throne 1819 (to 1901) until long after her death, her youthful vitality and impeccable fashion sense have been heralded as the creme de la creme. Can you imagine receiving a snake ring as your engagement ring? Well, Queen V received one from Albert - which goes to show how deep the language of jewelry was. Another admirable fact about Victoria was her deep love for her husband, Albert. It is likely that the couple’s deep affection for each other, which was known by the public, had something to do with the sentimentality of the time. 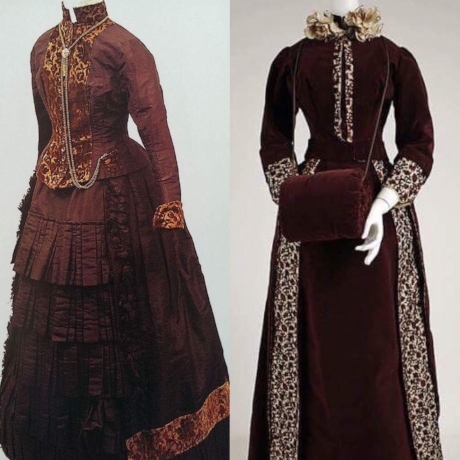 Unfortunately, Albert died at the age of 42 and it is well known that Victoria mourned the death of her loved one for the rest of her life which prompted the fashion trend of mourning jewelry (we’ll cover that another time). must henceforth merely keep notes of my sad and solitary life." The crescent moon was widely popular during the Georgian, Victorian, Edwardian Eras. The slender moons are said to represent the feminine moon goddess and female empowerment but also they are believed to represent change as a moon has multiple lunar phases. It is important to remember that the Industrial Revolution was happening at this time, and women were beginning to enter the workforce, thus the roots were being laid for modern day female empowerment and rights. industry, science, art and fashion. Furthermore, it is believed that if a star is accompanying a moon the piece represents “I love you to the moon and back.” Honeymoon brooches were popular accessories for Victorian brides. These brooches featured moons, stars and typically flowers, too. Another belief of stars is that the stars provide guidance to the wearer. Star and moon pieces are some of our favorite pieces, and are highly sought after. What are some of your favorite pieces? Let us know in the comments about a motif or time period you’d like us to write about next! An advertisement from 1909 for a star & moon locket! * shop all our star & moon motif jewels here!